DHAKA : Prime Minister Sheikh Hasina on Monday asked the new cabinet to work with sincerity and honesty to fulfill the expectations of people who have voted Awami League to power again with a huge mandate, reports UNB. “The cabinet will work with sincerity and honesty, every work has to be performed with sincerity…this has to be kept in mind,” she said. 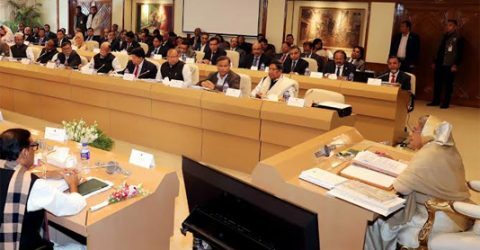 The Prime Minister made the remarks in her introductory speech at the maiden cabinet meeting of her newly formed government at the Prime Minister Office (PMO) after the Awami League won the 11th parliamentary election on December 30 with absolute majority. 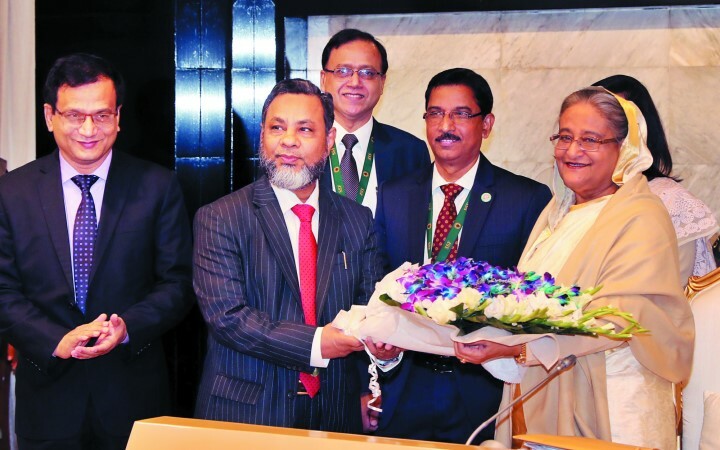 Sheikh Hasina, also the chief of the ruling Awami League, said the country will advance if the cabinet works with sincerity and honesty. Hasina said the dream of the Father of the Nation Bangabandhu Sheikh Mujibur Rahman was to bring smile to the faces of distressed people. “That’s also our aim. 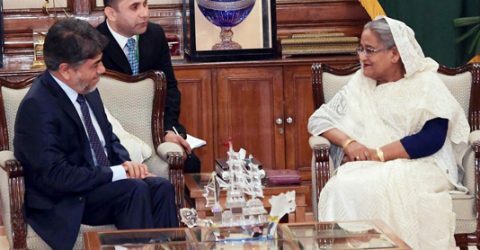 We’ll work with that desire…we’ll fulfil that desire, we’ll build Bangladesh as a country that will be free from hunger and poverty,” she said.